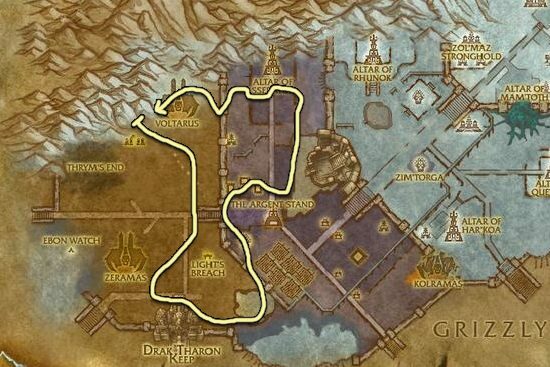 I made this Talandra's Rose farming guide to help out players who want to farm the herbs instead of buying them from the Auction House. Talandra's Rose is most commonly found in the non-snowbound areas of Zul'Drak, it grows at the base of objects such as walls and trees. Zul'Drak is basically the only place where you can farm this herb. You can also get them by farming Frozen Herbs in Dragonblight, and in Wintergrasp, but it's a lot less effective.